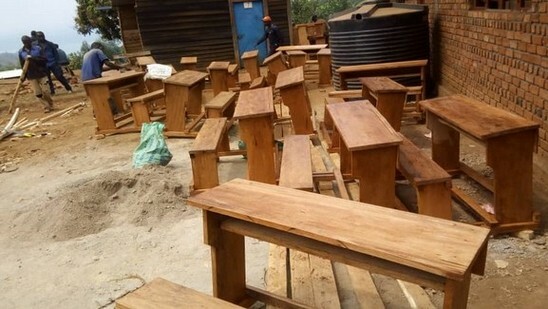 CongoAction is a British charity working in Kivu Province in the Democratic Republic of Congo. 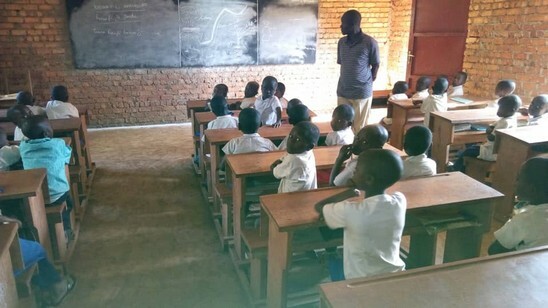 Congo Action is offering support in the development of education, training and the relief of poverty in Kivu province, in the Democratic Republic of Congo. Our mission is to help the people of Congo help themselves by offering resources that they can use to improve the quality of their lives. Late July 2018 The roof is being completed. 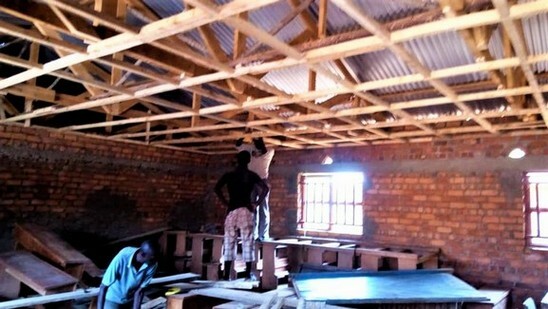 The build is right on target for the start of the next school term which leaves only the final phase to raise the money for. June 2018. It’s all happening! They are working on the foundations of Phase 2 this week. September 2017 - The first 3 classrooms now in use! July 2017 - The walls of the first block are going up!